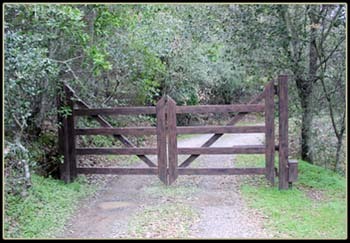 Custom single swing ranch style steel driveway gate. Powder-coated, faux finish. This gate is automated.